Guests may check in any time after 3 PM. Check out is at noon. Early check in is complimentary when booking directly on this website, based on availability. Late check out is available for $30 + tax. Room reservations must be cancelled 24 hours prior to scheduled check-in time of 3:00 pm to avoid a cancellation fee of the first night’s room and tax, unless booking a non-refundable reservation/rate plan, in which case, the reservation is non-refundable and may not be modified. If your reservation is booked through a third party, cancellations must abide by their policy. For most reservations you will charged upon booking. When booking a non-refundable/ advanced purchase promotion reservation/rate plan, the reservation amount will be charged in full at the time of booking. If your reservation is booked through a third party, payments must abide by their policy. How much do you hold at the time of check in? Upon check in we hold $125 per stay for an incidentals deposit. The deposit is released at midnight after the check-out date and typically takes 3 to 10 business days to reflect in your bank account. If an overnight guest is a minor (under 18), please have them contact the hotel directly for appropriate forms to be filled out and returned prior to arrival. Is Ayres Hotel Chula Vista pet friendly? Ayres Hotel Chula Vista offers pet-friendly courtyard patio rooms.  Ayres Hotel Chula Vista offers a complimentary full buffet breakfast served from 6:30–10:00 am Monday through Friday and 7:00–10:30 am on Saturday and Sunday.